You’re scheduled to give that keynote speech but pesky blackheads are derailing your efforts to leave a lasting impression. You’ve probably tried everything to eliminate them to no avail and time is running out! If this is you, then you shouldn’t worry. There are several safe methods that you can use to get rid of the blackheads overnight. Yes! You’ll only require one night to get rid of those blackheads that have given you sleepless nights for weeks. The methods detailed herein are highly efficient and have been proven to work without severe side effects. This is the chance you’ve been waiting for! Read on to learn experts’ tips that will revolutionize your blackheads elimination journey. 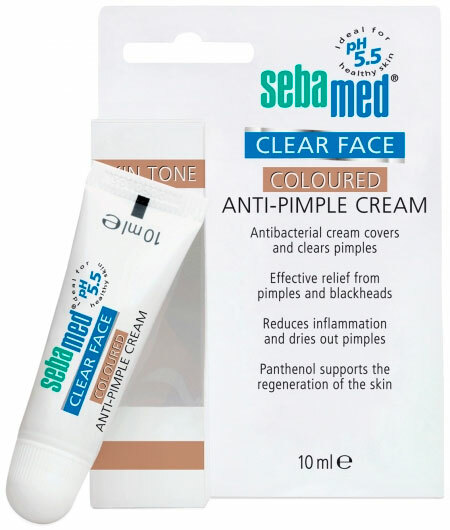 Getting a fast relief from stubborn blackheads is a challenge to many due to their persistence! It is worse when they appear in rather conspicuous areas on your skin such as the forehead, chin, or the scalp. If you are in dire need of eliminating them, then you should try several methods that have been tested and proven to work efficiently while guaranteeing your safety. While selecting the technique to apply, you should ensure that you consider the active molecules of the specific products; the onset of action; the type of skin that the product is recommended for; and whether you are comfortable with the mode and the frequency of application. Ensure to check the side effects of the removal products! To successfully eliminate the blackheads overnight, the method you select should offer the fastest way to do it. In most cases, the DIY techniques that you can apply at home provide you with the easiest way to do away with the blackheads at home. However, their ability to offer the relief you need overnight is not guaranteed; the techniques eradicate blackheads after approximately one week of application. Nevertheless, you can successfully apply natural methods by mixing several ingredients which you can easily find at home to strengthen their potency and guarantee relatively faster results. Since most of the products that you may use are commercial prescriptions products, you need to consult your dermatologist before you start applying them. The professional will evaluate your condition and then recommend the molecules to apply, their strength, and the frequency of application. You should consider the following methods that we’ve researched with input from professionals to ensure that you get the best results in one night. 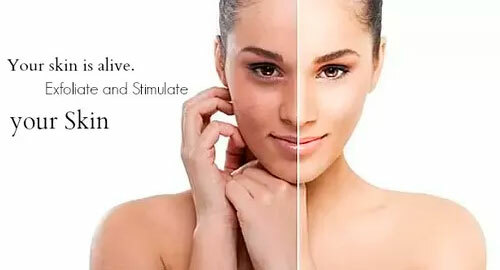 Ensure that you candidly go through the list to choose the best technique that will match the sensitivity of your skin and offer you relief without any side effect. Using Special Products. You can apply products that are specially meant to eliminate the blackheads overnight. These items can be purchased from the nearest store or prepared at home using natural ways. This is one of the simplest yet highly effective techniques in eliminating blackheads. You just require to prepare a mask that can either peel off after some time or that which you can wash off with water after the recommended period. When removing the masks, they come off with all the dirt on the surface of your skin which helps to unclog the pores and consequently remove the blackheads fast. Some of the masks that you can buy on the stores include Boscia charcoal mask, Biore charcoal mask, Aztec Secret Indian Clay Deep Mask, Body shop tea tree mask, and GlamGlow Supermud Mask. You can visit blackheads removal masks to get more choices. Alternatively, you can choose to prepare the face masks at home using substances such as honey, cucumber, baking soda, lemon, yogurt, tea tree oil, and tomato. When preparing these natural masks, you can mix the products to strengthen their potency against the blackheads. For example, a product made out of yogurt, honey, and lemon juice has numerous properties that are necessary for a quick eradication of the blackheads. The mixture offers antimicrobial properties, moisturizing effect, and astringent properties which guarantees an all-inclusive treatment of the condition. Blackhead removal tools. You can also opt to use removal tools to eliminate the problem entirely. When selecting these tools, you should ensure that you only use those that are made out of stainless steel since they guarantee safety against infections. This technique is simple to apply since you just require to press over the blackhead until all the dead cells and the dirt are expunged from the site. This method gives immediate results but requires patience since you should work on all the blackheads on your skin. Additionally, you should avoid squeezing the blackheads using your hands to avoid transferring bacteria to the skin. The removal tools must be sterilized after every use to ensure top-notch hygiene. More information about blackhead removal tools you can find here. Use of Exfoliators. The surest way to remove the dead skin and dirt that is clogging your skin pores is by exfoliating your skin regularly. While doing this, you should always ensure that you are relatively gentle to avoid destroying the skin. You should allow several hours break before exfoliating the skin again. Once the pores are open and the dirt removed, you can be sure that the blackheads will disappear for good! Using Home Remedies. If you need to remove the blackheads fast using natural methods, then you shouldn’t worry since there are numerous home remedies that you can apply in the removal process. These DIY techniques require items that are easily available at home which makes it cheap, easy-to-use, yet a highly effective technique. Egg white. You can use egg white to remove the blackheads fast. Ensure that you dip a paper towel on the egg white and then stick it to your face for approximately fifteen minutes. You should then wash it off with plenty of water. Baking Soda. You can make a paste of baking soda and apply it to your skin. Let it sit for some time and then wash it off with water. Lemon, honey, and salt. You should first wash your face with warm water. Immediately it dries, apply the mixture of these substances on the blackheads and let them sit for approximately 30 minutes; then wash them off with water. 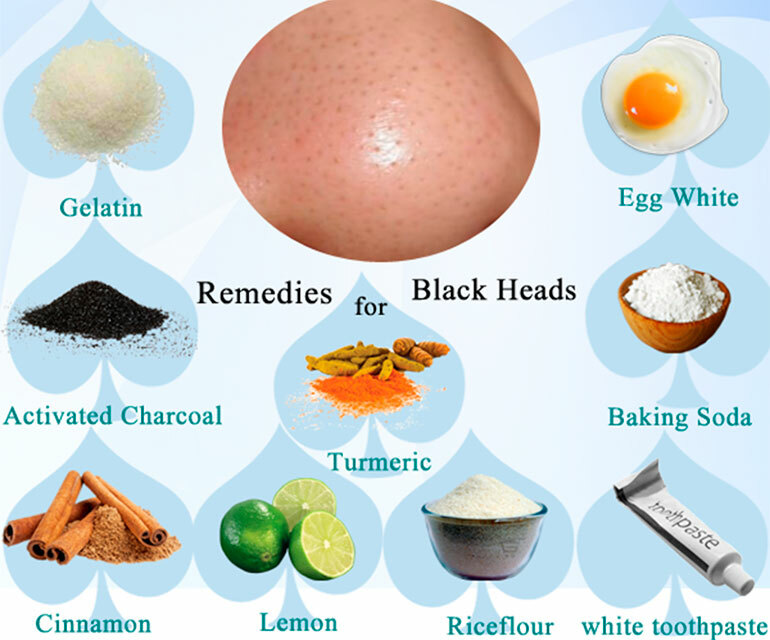 To learn about more DIY techniques, that you can apply at home, visit home remedies for blackhead removal. Removing blackheads in one night requires a highly potent technique. Most of the homemade techniques will not be of much help if you’re really determined to eliminate the blackheads overnight. While they are effective, these methods are not meant for single-night removal of blackheads. To achieve the best results, we recommend that you use masks since these products will remove the blackheads instantly. As you prepare the mask, ensure that you put all the necessary ingredients to make it stick on your skin since it is this property that contributes greatly to their efficacy. Also, if you are unable to prepare them at home, you can purchase them from your nearest store. Alternatively, you may opt to use blackhead removal strips which will remove the blackheads instantly thus restoring the original glow to your skin. The nose is one of the most sensitive organs in your body and thus, you should be extremely careful when trying to remove blackheads. Always ensure that you are gentle to prevent hurting the nose which would result in more problems. If you have blackheads on the nose, you must be highly uncomfortable because of their conspicuous location. This is especially so if you intend to mingle with a large number of people in the near future. However, you shouldn’t worry since there are numerous techniques that you can apply to completely get rid of them within one night! When cleaning the nose, you should avoid using soaps that you’re not used to. Also, ensure that the soap does not find its way to the nostrils to avoid irritation. Use warm water to gently wipe out the dirt from the nose using a soft piece of cloth. Ensure that your nose is clean by washing it using your regular soap. Immediately you clean the nose, you need to steam it by covering it with a piece of cloth dipped in warm water. After that, you should use removal strips to eliminate the blackheads. Place the strip on the exact location of the blackhead and press over it to ensure it firmly sticks. Let it sit for some time and then remove it. 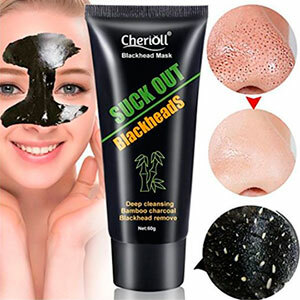 You’ll observe the black content from the blackheads and you’ll get instant relief. You should also exfoliate the nose regularly to get rid of the dead skin and the dirt that are causing the blackheads. You can achieve this using various exfoliators including homemade and commercial ones. Due to the sensitivity of the skin, learn the tricks on how to get rid of blackheads on nose here. While you can easily remove blackheads overnight without the input of an expert, it is necessary to consider the opinion of the professionals when making your choices. Ensure Consistency. One of the commonest recommendations from experts is the need to stick to a specific removal technique that works best for you. While you may require to urgently remove the blackheads, you shouldn’t just fall for any technique that worked on a friend! The skin is a sensitive organ and you should ensure that you protect it against unfamiliar foreign products to maintain its integrity. Go Slow on Facial Therapies. It does not matter how desperate you are for a fast blackhead removal, but you should never over scrub your skin. When you overdo it, you are likely to ruin the integrity of the skin which will result in scarring. Always exfoliate your skin twice a week for a smooth and scar-free skin. Before you settle for a scrub, you should evaluate the type of your skin and only use a scrub that is compatible with the skin! Regularly Steam Your Face. Your skin requires you to keep it hydrated and aerated all the time, and the best way to achieve this is by ensuring that your skin pores are always open! You should regularly place a warm towel over your skin which relaxes the skin and unclogs the pores. Also, you can place your face over a bowl of hot water and expose it to the steam for approximately 20 minutes. If you make this a regular routine, then you’ll never experience difficulties with blackheads. Experts warn that some individuals have allergies against some of the perfumes. If you notice a tendency of developing blackheads or acne after applying perfumed cosmetics, you should immediately discontinue them and choose another product that is not perfumed. Also, the experts recommend that you clean your face thoroughly after applying makeups. Failure to remove these makeups completely may lead to blockage of skin pores which will complicate your battle with the blackheads. Eliminate Bacteria. When trying to get rid of the blackheads, you should eliminate the bacteria to guarantee a quick process. You can achieve this by using antibacterial creams or homemade solutions such as honey, tea tree oil, and other substances with anti-microbial properties. Never apply prescriptions products before doctor’s recommendation. If you must use prescription products, then you should ensure that you seek the advice of your dermatologist first. A quick removal of blackheads requires consistency and discipline to ensure that you do not compromise the integrity of your skin in the process. Always use those products that you’re sure they won’t harm you. If in doubt, you should consult your dermatologist for advice.